these are essential for genuine quality. 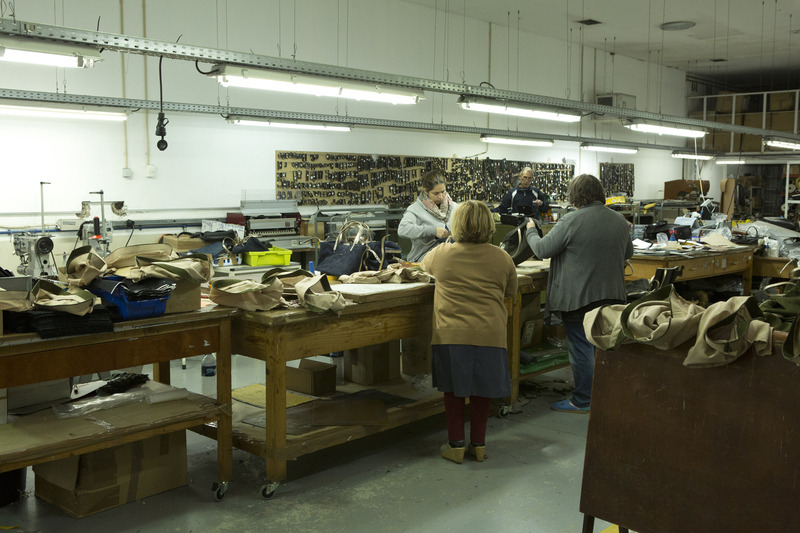 Impressions from the bag manufactory in Portugal. 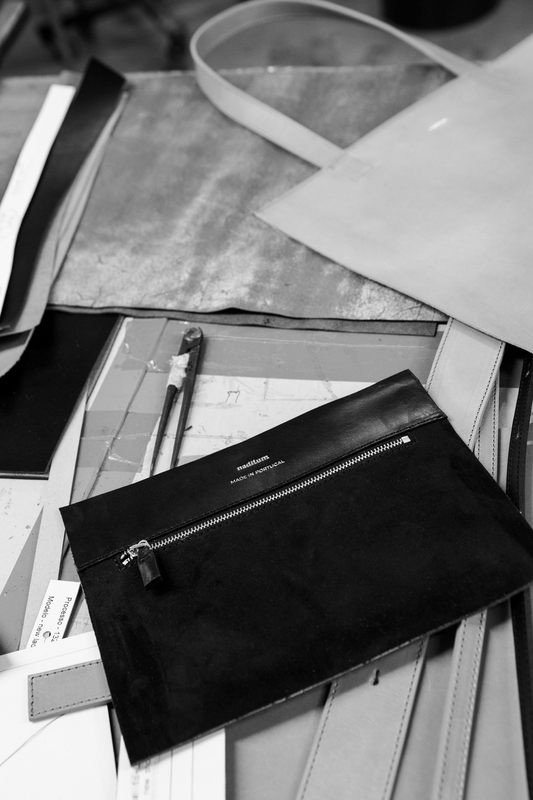 Manufacturing fine leather goods involves many complex stages of production. At Naditum we combine traditional craftsmanship with innovative processing techniques. 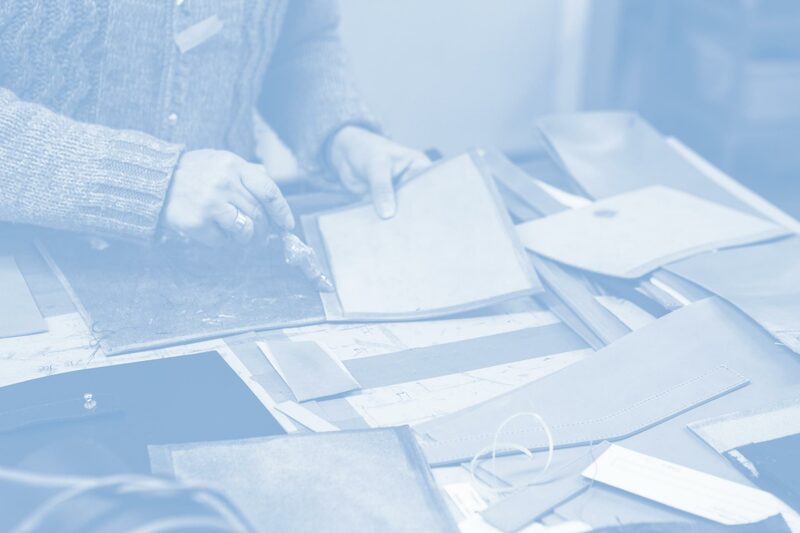 Our manufactory is located in the region of Portugal that is famous for its fine handbags, where masters of the craft still cut leather by hand and carefully assemble the pieces. Through constant discussion with the master handbag makers of Porto, we create companions for life. When selecting our materials, we pay special attention to quality, sustainability and transparency. This is why we only use leather that has been tanned using a plant base – a process that preserves leather’s natural characteristics. Small irregularities, scars and variations in colour are hallmarks of quality. Artificial light and sunshine slightly change the colour of this pure and natural material. 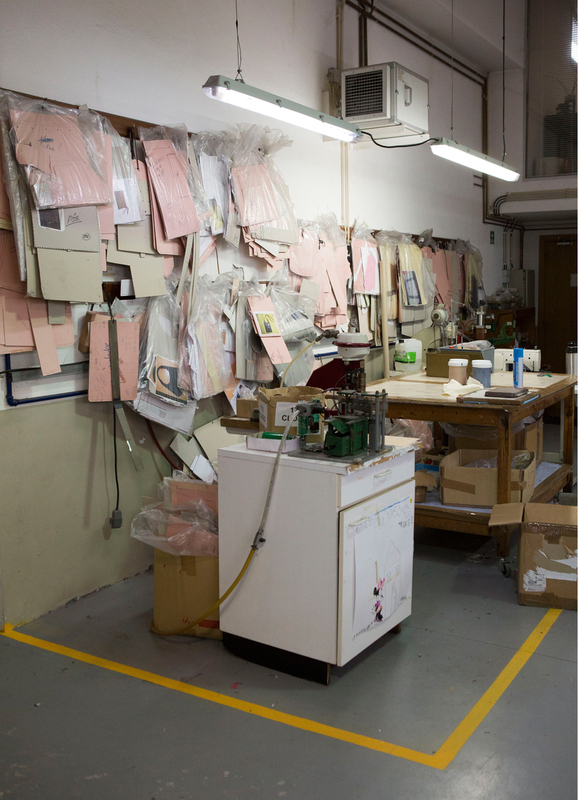 All Naditum tanneries meet the highest technical and environmental standards, combining tried-and-tested tanning with stateof- the-art technologies. 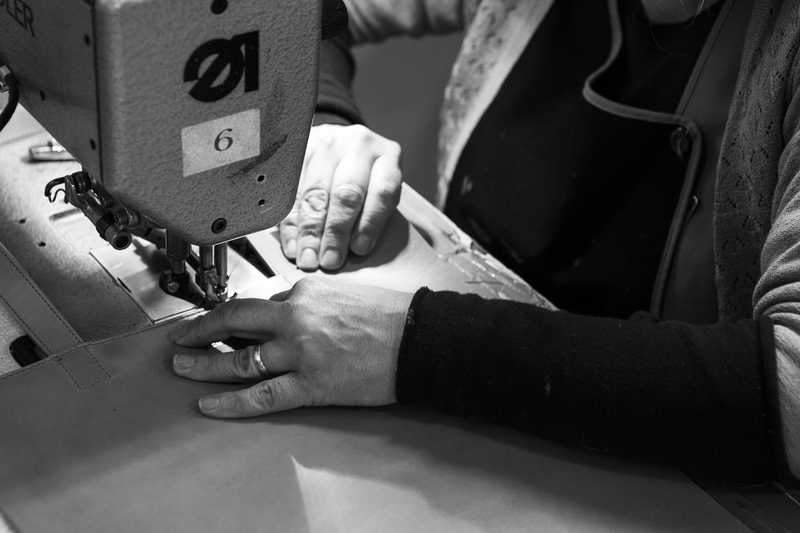 Our leather is cut by hand and assembled by specialized fine bag makers. We only use first-class vegetable-tanned leather. 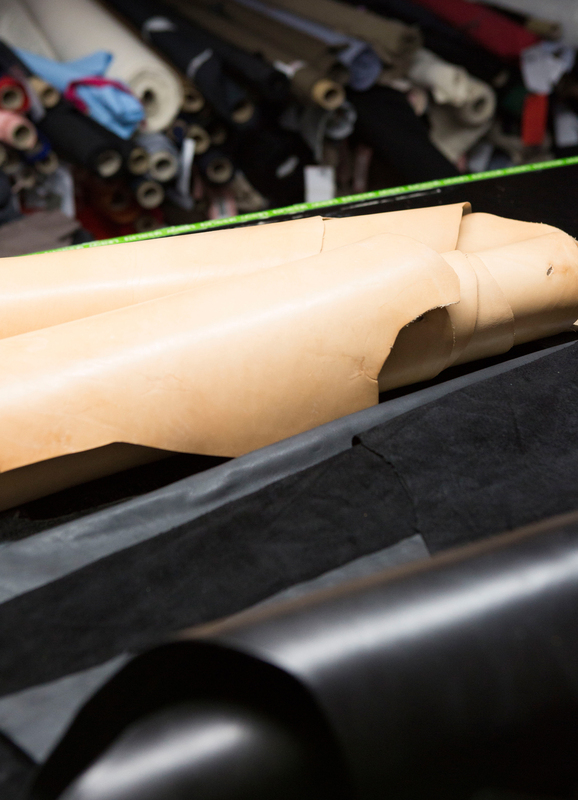 You can see and touch our high standards: Each skin has a unique texture and personal character. Vegetable tanning celebrates slowness: Skins are placed in wooden barrels for 40 days – with the natural agents that give our leathers unmistakable character and a distinctive woody fragrance. The warmly coloured leathers are smooth to the touch yet robust. Our cowhides come from a tannery near Florence, Italy where premium leather was first produced naturally more than 70 years ago. Many leading Italian fashion houses source their skins there. We line our handbags with microvelour, which feels like velvet, is stain resistant and highly durable. The fabric is produced in a small factory in Abruzzo, Italy. Naditum zippers are produced by a small family business in Lombardy, Italy where the individual zipper teeth are polished before they are attached to the tape. This extra step makes the zippers open easily. All our metallic pieces – rings, snap hooks and snap fasteners – are made of a zinc alloy and free of nickel.